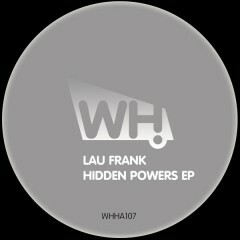 Hot on the heels of his highly successful release on Audiojack’s Gruuv label, Argentinean house don Lau Frank brings us his ‘Hidden Powers EP’. Proving himself a rising star and one to watch in the future, the Buenos Aires-based producer/DJ also had other quality releases on Cubism and Kolour Recordings to name a few. We recognize quality when we hear it and this guy got what it takes to make it big. This is his new monstrous 3-track EP destined to hit the cooler clubs and festival stages this summer.